This week: the effects of climate change on animals, radical fundamentalists in Egypt, public space in the Internet age and insight into one of the most powerful committees in America that you’ve never heard of. “Why climate change has Darwin down for the count,” by Chris Mooney. Grist, July 15, 2013. With so much climate change discussion devoted to effects on human beings, here’s a nice change of pace targeting how it could threaten animals. One statistic was particularly memorable—it took animals, on average, a million years to adapt to a temperature change of less than two degrees Fahrenheit. This could be quite a problem for those not walking on two legs, as the article predicts a 7.2 degree F temperature rise in just the next 100 years. “A Former Ira Hunger Striker Talks About The Guantanamo Hunger Strikers,” by Danny McDonald. VICE, July 16, 2013. Former IRA member, Gerard Hodgins, who was on a hunger strike for twenty days in a Northern Irish prison. Fasting, hunger strikes and self-starvation have been used at various points in history for non-violent resistance. Faced with few other ways to protest their circumstances, more than a hundred Guantanamo Bay prisoners are currently on a hunger strike, forty-four of those who are being force fed against their will through an inhumane and incredibly painful procedure. Hodgins outlines the similarities and shared experiences, both emotional and physical, that hunger strikers at Gitmo and those at the Northern Irish prison faced. “Too Many Jobs,” by Max Kummerow. Center for the Advancement of the Steady State Economy, July 9, 2013. People need jobs. But jobs are a part of our economy. And our economy is destroying the planet. What is to be done? “You Thought the Brotherhood Was Bad?” by Marina Ottaway. Foreign Policy, July 16, 2013. Marina Ottaway, a senior director at the Carnegie Endowment, describes the new and dramatically improved political positioning of Egypt’s Salafists. The sudden and foolish removal of the Muslim Brotherhood by the Egyptian Army has removed moderate Islamism from the political playing field. Through no effort of their own, the radical Salafists of Egypt’s Nour party are now the only alternative available to Egyptian voters other than voting for secular parties. The fear of the “radical” Brotherhood has empowered the true radicals in Egypt, the fundamentalist Salafists. “Open Wide,” by Tom Slee. The New Inquiry, June 12, 2013. This wonderful essay, which was recommended by a friend, addresses some of the broader questions of public space opened up by recent discussions about the NSA. Tom Slee uses geographer David Harvey’s reading of the tension between public and private space in the world’s cities to draw striking parallels we’re beginning to see unfold online. A central insight is that open, common spaces like public parks are “traded upon” by private capital (like real estate developers or web startups), in turn destroying essential qualities that made these spaces beautiful in the first place—through gentrification, homogenization, privilege, isolation and so forth. An interesting perspective on a shared space we’ll only spend more of our lives in the future. “Richard Cohen and Kathleen Parker, Racial Profiling, And The Choice To Live In Fear,” by Alyssa Rosenberg. ThinkProgress, July 17, 2013. From the moment when news spread that George Zimmerman was acquitted, many spent hours and days in emotion-filled moments. Some cried out in the streets as they marched in solidarity. Others stayed at home, reading about Zimmerman’s weeping family or watching their the television interview of Juror B37, the first one of the six to speak out. While many regard this as a civil rights violation and that justice has yet to be served, others seem to disagree, such as Richard Cohen who recently titled his Washington Post column, “Racism vs. reality.” And this is a response for Cohen and others. “A Special Deal,” by Haley Sweetland Edwards. Washington Monthly, July/August 2013. As a Canadian I’ve always found the US healthcare system bewildering and beyond comprehension. This article highlights an especially troubling part of its composition: the process by which Medicare payments to doctors are determined. As Sweetland Edwards explains, “one of the most powerful committees in America you’ve never heard of,” the RUC, is convened tri-annually to decide upon the relative values of medical procedures. Its composition begets polarization (it’s dominated by specialists rather than primary care physicians) and price-fixing (the Centers for Medicare and Medicaid Services rarely reject the committee’s recommendations). A highly informative and thought provoking long-read. 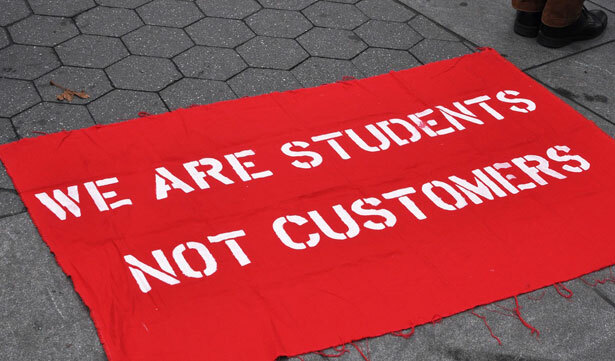 “Can Cooper Union Find A Way To Continue Free Tuition And Its Social Mission?” by Sydney Brownstone. Co.Exist, July 17, 2013. After sixty-five days, the occupation of the president’s office at Cooper Union, in protest of the announcement that the historically free university will begin charging tuition, has come to close—but the fight to keep Cooper free is far from over. This piece offers a great overview and analysis of the post-occupation situation at the school, looking at how organizing will continue and what the prospects are for the students and Board members who will, along with alumni and faculty, form a working group to search for a way to keep the university tuition-free. As the cost of higher education skyrockets and students graduate with record-levels of debt, this struggle is of vital importance. “Abolishing Burma’s feared border force: PR or reform?” by Francis Wade. Asian Correspondent, July 15, 2013. This week, Burma’s President announced the disbandment of the Nasaka the security forces that patrol the border between Burma and Bangladesh. For years, the Nasaka have been implicated for serious human rights abuses, and most recently have been responsible for some of the most violent attacks on Rohingya Muslims in Rakhine State. But Wade calls into question the significance of the new policy. Coming on the heels of the President’s trip to Europe, the announcement is clearly a strategy to pre-empt questions about the state’s failures to curb sectarian violence in its western regions. Moreover, Burma has a history of “disbanding” abusive security forces by simply folding them under a new banner. While the Nasaka may gone, some form a security personnel will reform in Burma’s restive western border. Until abuses are met with accountability and not simply a makeover, the crisis will remain. “Shariah courts for women, by women to come up in 4 cities,” by Zeeshan Shaikh. The Indian Express, July 9, 2013. “How Does the Ruling Class Feel When It Rules?” by Andrew Seal. n+1, July 15, 2013. In this re-review of Chris ‘Christopher’ Hayes’s Twilight of the Elites and Corey Robin’s The Reactionary Mind, Andrew Seal argues that recent leftist thought fails to consider the actions of the ruling class as a class, rather than as the discrete actions of self-interested individuals with overlapping interests and a common psychology (or pathology, as the case may be). He thinks this leads to analytically limited analogies that compare contemporary plutocracy to feudalism. His critique is sharp, but he does seem to give short shrift to the thinkers he reviews—Corey Robin’s recent essay on Nietzsche and Hayek is deeply interested in the ruling class’s interest in itself as a politically and culturally essential collective.